The 601 La Bomba Warhead Iv is tagged with free shipping. If you order this product, your entire order will receive FREE BCP Ship Saver shipping! 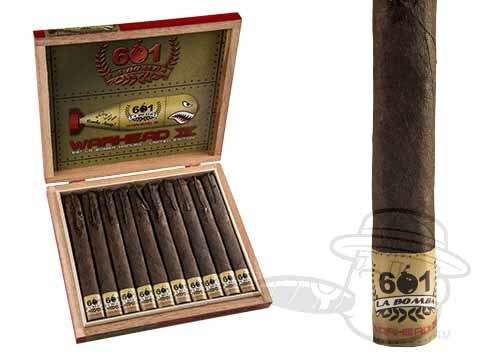 If you enjoy full-bodied, dark, and spicy Nicaraguan smokes, you can just go ahead and skip right to the “add to cart” button - the 601 La Bomba Warhead IV was made for you. Boasting a bombastic blend of 100% Nicaraguan tobaccos under a potent Habano wrapper leaf, these limited edition firecrackers are handcrafted in Esteli to bring you bold tones of cocoa, leather, coffee, and plenty of big, palate-blasting peppery spice. Limited to only 2,000 boxes of 10 cigars, the Warhead IV presents an explosively strong and tasty smoking experience you won’t soon forget. Grab your batch now at the lowest possible price right here.